AV Aide - TV Aerials/Satellite Services based in Clitheroe, Lancashire. 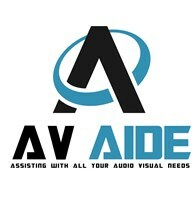 AV AIDE are specialist suppliers and installers of Audio Visual Equipment. Save time with AV AIDE's expert installation, set-up and maintenance services - just a click or call away! Ideally situated in the North West of England, our central location allows us easy accessibility for servicing the whole of the UK. Established for 12 years, and with over 25 years experience in the AV industry, AV AIDE has built an enviable reputation based on providing a professional service, outstanding product knowledge and highly competitive pricing.